After recuperating from a gunshot wound to the head, Gulf War veteran Jack Starks (Adrien Brody) returns to his native Vermont suffering from amnesia. 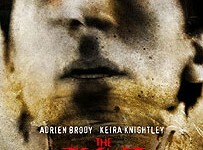 When he is accused of murdering a police officer and committed to a mental institution, a physician, Dr. Becker (Kris Kristofferson), puts him on a controversial treatment regimen in which Starks is injected with experimental drugs, confined in a straight-jacket, and locked for extended periods in the body drawer of the basement morgue. In his drugged and disoriented state, Starks’ mind propels him into the future, where he meets Jackie (Keira Knightley), and discovers that he is destined to die in four days. Together, they search for a way to save him from his fate.